Odd Future Archives - Nardwuar the Human Serviette Radio Show! Interview with Tyler the Creator (Los Angeles, CA) from 2015 and also 2011 ! 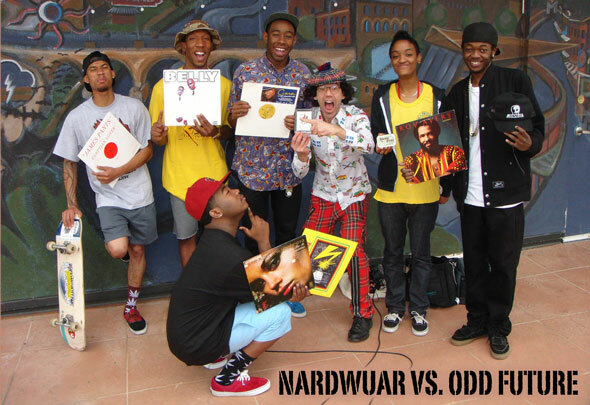 Nardwuar vs. Macklemore , Odd Future & Two Door Cinema Club ! Interviews with Macklemore (Seattle, WA) , Odd Future (LA, CA) & Two Door Cinema Club (Bangor, Ireland) ! ! Nardwuar the Human Serviette vs. Odd Future! And who do you have beside you R.Kelly, Tyler? T: Hodgy Beats, little brother.